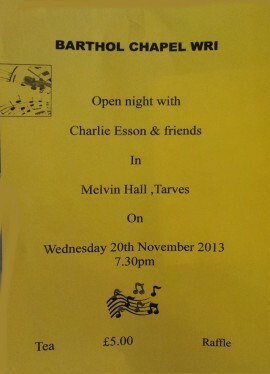 Barthol Chapel WRI present – An open night of music with Charlie Esson and Friends – In the Melvin Hall Tarves. Wednesday 27th November at 7:30pm. 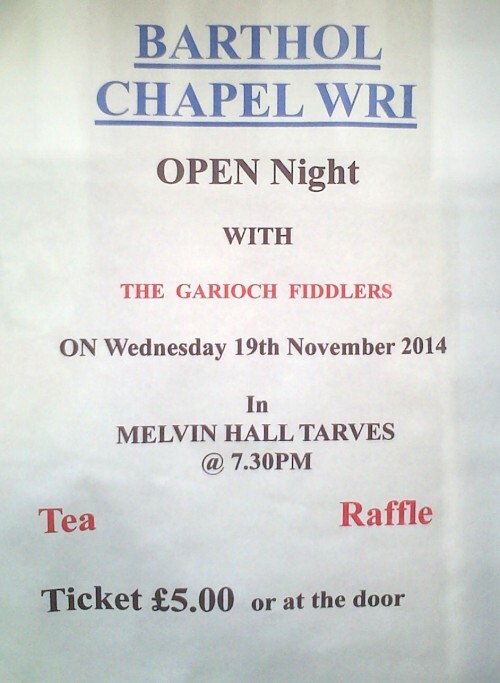 Tickets just £5 and there is a tea and raffle.